CLEAN CARFAX ! 2 OWNER ! SOLID NO RUST SOUTHERN GA. TRUCK ! 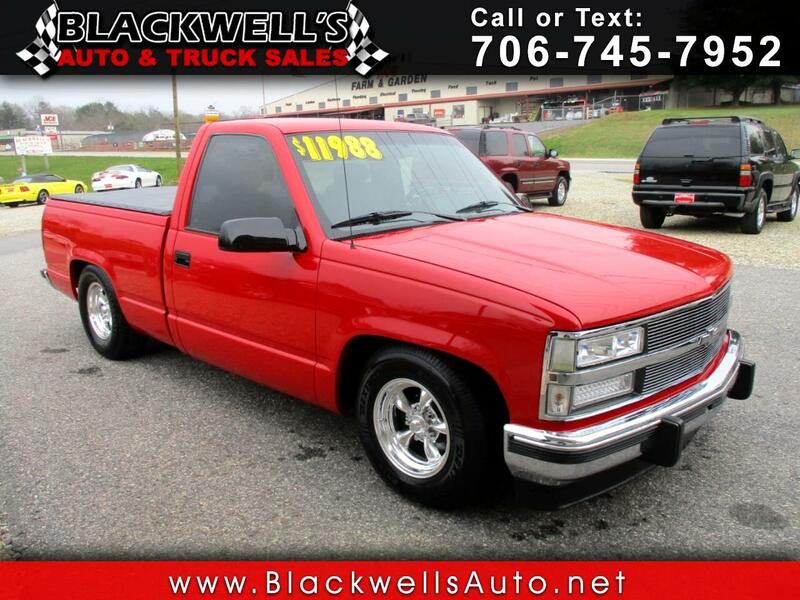 REGULAR CAB SHORT WHEELBASE WITH MANY UPGRADES ! NEW SHOW QUALITY PAINT / LEATHER SPORT SEAT INTEROR WITH CONSOLE / AMERICAN RACING WHEELS / DAKOTA DIGITAL DASH / FLIP OUT STEREO CD & VIDEO PLAYER / FLOW MASTER DUAL EXHAUST / LOWERED SUSPENSION / SPRAY IN BED LINER / CUSTOM BED COVER / AND MORE ! YOU CAN'T BUILD A TRUCK THIS NICE FOR THE $$$$ ! GREAT VALUE ! GREAT PRICE !!!! Message: Thought you might be interested in this 1988 Chevrolet 1/2 Ton Pickups.